You will find here our woman dresses collection. 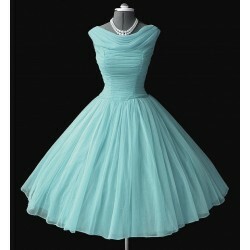 This category includes all kind of dresses : long, coctail, open-back, short and middle length dresses, retro and many others! Find your favorites dresses from our wide choice of evening, casual, summer or party dresses! Dresses There are 11 products. It is an incomparable feeling to wear a dress designed exactly for you. A cloth of top quality, flawless seams, ideally suits you. We were inspired by designer Lily Young when created this dress.The dress is decorated with patterns of butterfly. Style: designer inspired, evening, great for any occasionDesign: couture, butterfly "Monarch"
This dress is made in retro style, great for parties and dates. 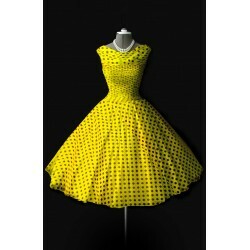 Classic yellow retro dress with black dots.